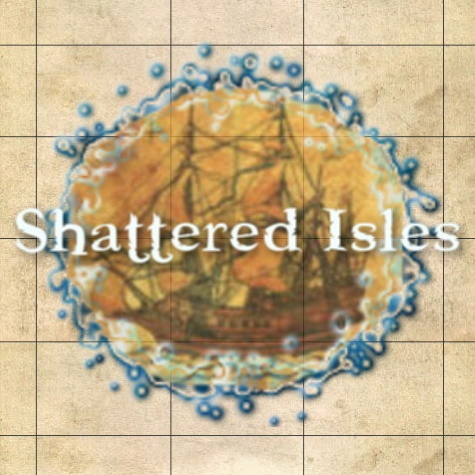 Shattered Isles is first and foremost a gaming environment in which to enjoy oneself and the company of others. While conflict naturally happens between characters, there is a fine line to walk to ensure one doesn’t turn animosity and being enemies into extreme harassment and intentional disrupting of another’s game. It is one matter for your character to wish to halt their enemy’s plans; it is another entirely for you, yourself, to wish to dampen your fellow player’s fun. In addition, in all Out Of Character (OOC) rooms, settings, and on the external forums players shall treat each other with respect. Racism, sexism, homophobia, and ableism shall not be tolerated in any way – no matter how small one may deem such actions. Warnings and infractions will occur should one engage in such behavior. Please keep in mind the golden rule, no matter how cliché or juvenile it might seem. Targeting a character for OOC reasons (a dislike or conflict with their player) is not allowed. Handle any conflict you have with a player in a mature fashion in an OOC setting. If this seems impossible without moderation, please contact a staff member to arrange a meeting. Just because you may dislike Bob who works in construction for a day job, does not mean your character will necessarily dislike, harass, kill and/or otherwise make miserable Jevirl the Avardi who enjoys crafting of the non-housing persuasion. It is important to remember to distinguish clearly between OOC and IC interactions and personalities. You might not like one another, but you should treat each other with basic respect and maturity. Killing a player multiple times without provocation is disallowed. This is not to suggest player killing is illegal, but rather targeting a character over and over without an additional reason is against the rules. Killing a character, tracking them down immediately upon their return to kill them again, or upon your next meeting if they’ve done nothing to further to incur such treatment is prohibited. If said character begins mouthing off, attacking, or actively planning your demise however, they are again ‘free game’. Rolling a character for the sole purpose of harassing, attacking, and impeding the enjoyment of your fellow players with no, or limited, roleplay is disallowed. For the most part we are adults, not two year olds in a sandbox trying to steal toys from one another for no other reason than it’d annoy them. Again, respect for your fellow players and act mature. The 'tell' command is for communicating with staff members when they've contacted you. Players are advised not to initiate unsolicited out-of-character (OOC) communications of any kind. While OOC Tells between friends are acceptable, it is strongly discouraged in order to achieve complete character immersion. However, what is NOT acceptable is using this channel to communicate with others about future gaming plans, plots, or any dialog that would be considered in-character (IC) information. AFK (Away From Keyboard/Unattended) scripting to gain skill uses and advancement is strictly prohibited in Shattered Isles. Scripting bots meant to imitate player activity to hunt unattended are likewise forbidden. Any player found to be engaging in AFK scripting or botting will be subjected to the consequences of such actions. These include (though are not limited to): loss of levels, character wipe, and temporary banning. Players will be allowed a small window to respond in a timely manner. This is a game for multiple players; selfish attempts to gain power and skills while AFK, and thus infringe upon the work and fun of your fellow players is not welcomed. We understand emergencies and accidents happen, but ultimately you are responsible for all the actions of your characters. The intentional abuse and exploitation of bugs to gain an advantage for your character is disallowed and will be dealt with in a swift and harsh manner. This includes (but is not limited to): character wipe and banning. It's the responsibility of the player to keep themselves up to date on known bugs. Use HELP BUG for a current list of known bugs. If you are found exploiting one of these bugs, it will be considered intentional and the consequences will be severe. Upon discovery of any bugs please immediately report it either via the BUG command or by sending an email to staff ([email protected]). If you are unsure if what youve encountered is a bug, please abide by the age old adage: better safe than sorry. Currently in Shattered Isles there's no true combat timer, presenting an interesting scenario when dealing with skills which can't be used in combat. Just because there's no combat timer at the moment, however, does not mean it's acceptable for players to 'reset' it so they might use a skill endlessly for faster than intended leveling, or in combat. To move rooms to get yourself out of combat, resetting your ability to use a skill, is considered mechanics abuse and will not be tolerated. Whether in hunting or on other players, whether to level in those situations or in PVP, it will not be allowed. These kinds of abilities are meant to be complementary, used as openers or until they've failed, not spammed in unlimited fashion. Players found participating in this kind of mechanics abuse will be dealt with harshly. Triggers are a normal part of life in Shattered Isles. We understand leveling can be seen as a tedious necessity for some. While keeping this mind, we also understand there's several players advanced in both trigger and script making. It isn't uncommon to see near full, or fully, automated hunting triggers and scripts. Those which move a person from room to room in a preset direction, which auto-pick up loot, and alert a player to danger their character faces. We'd prefer players experience the game in a little more involved fashion, but it isn't illegal. However, if your scripts and triggers impede and disturb the game play of another player, there is a problem. When using such automated scripts and triggers, it is the responsibility of the player running them to be attentive at all times, and to not encroach upon the experience of another. If you cannot afford to ensure you do not interrupt another player in such a way, it's best not to run them at that particular moment. If a player seems to be running an automated trigger set or script, and is disrupting your play (stealing your loot/kills in a clear sign they are not attentive), you are highly encouraged to ASSIST or send in an email to [email protected] reporting this behavior. Inattentive or disruptive botting will not be tolerated. CC’ing and multi-playing are both prohibited. Engaging in such behavior will be met with a warning followed by infractions, punishment will be handed out and include (but not limited to): loss of items, skill level (in the case of multi-playing), and temporary banning. 1. Exchanging items from one of your characters to another of your characters (doubloons, armor, weapons, etc). 2. Leaving items in rooms or containers on one of your characters and then having another of your characters retrieve them. 3. Using information gained while on one of your characters while on another character who did not hear this information, did not gain this information for themselves, i.e. ; Your character Gin the Gavial hears information involving a plan to flood the city of Pearl, and now suddenly your character Bill the Bolinau also knows this information, despite never hearing it himself in-game. While you may desperately want for Bill the Bolinau in all his love for water to know about this information, he must come across it legitimately. 4. Using one character to avenge another of your characters. Your characters are separate entities from each other. While they may vaguely know the names of your other incarnations (depending on how notorious you are) under no circumstance will they have ‘ever met’ or know one another. 5. Storing items with another of your characters, or a friend, while deleting and recreating the character from which they came. A character reroll means loss of items, unless under very rare circumstances in which staff will be involved. Players are allowed to have one (1) character logged into the game at a time. Logging in with multiple characters or accounts is forbidden. Punishment for violating this very simple rule includes (but is not limited to): loss of skill, deletion of character, and banning of the account, email address, or IP address(es). If you are, or are planning to, have more than one person from your household play Shattered Isles (and thus are connecting from the same IP address), then you are required to notify the staff of this development. We are not mind readers, despite our wishes, and while it is nice to hope people don't take advantage of a system the world is not made of lollipops. To make sure we know you are simply roommates or partners, please have both (or more) parties email [email protected]. If you do not do this in a timely manner, it will be assumed you are trying to cheat the system and the appropriate actions will take place. Punishments will involved character wipe and/or banning. This is not a lenient topic. 1. You must send in an ASSIST in-game from your thief or assassin stating you are submitting a forum account, and naming that account, for a disguise. You must name that disguise in the assist. 2. Create new forum account. Activation requires staff approval. 3. All forum accounts must be registered under a single email account, and that email account must be the same as the one used for your in-game account. Players interested in creating an account to represent a business or organization such as a newspaper or guild must email staff their proposal prior to creating a new account. Email [email protected] explaining your idea, intended use, and connected character(s). Examples of IC efforts connected to the request will only help your cause.